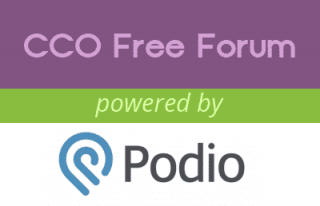 The new CCO Free Forum is a major upgrade over our older forum but the signup process is a bit different to other forums you might have joined. It works a lot like a “Private Group” on other social networks except it's hosted by a company called Podio. This means you'll need to submit the form on the right and please allow 24-48 hours for CCO Staff to setup your account. You will be emailed all your login details in 24-48 hours once it's ready.